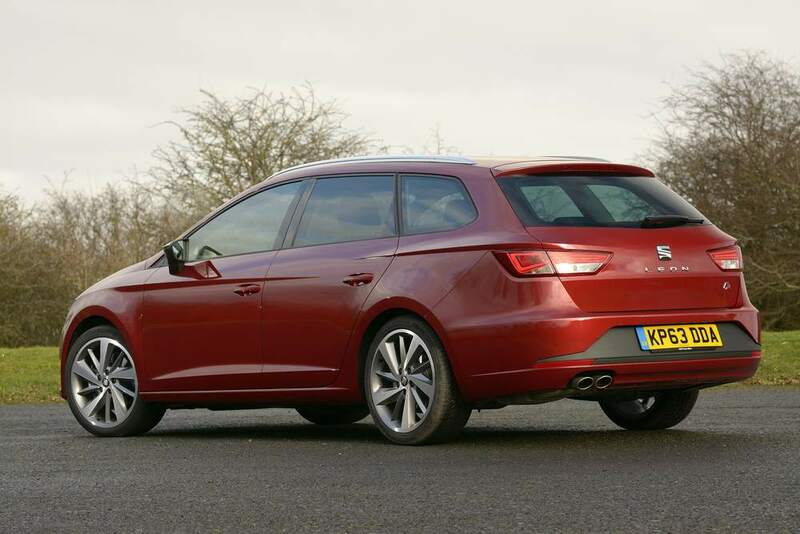 With only the performance Cupra and its ‘R’ derivative set to appear, to complete the Leon line-up, Seat has bust a gut to get a five-door, three-door and ST (estate) models to market in the past 11 months and Iain P W Robertson admits to being a fan. It is not so long ago that the Spanish arm of the immense VW Group was being hung out to dry by its owner. VW sought a buyer. Seat was in peril. Its funky, Spanish charm, with a soupcon of Mediterranean brio, was a moderate promotional pitch to pursue, as long as buyers did not dig too deeply into from which part of Spain the Belgian and German-produced Seats originated. Speaking Iberian with a Teutonic accent was unhelpful, especially as the property-owners’ exodus back to the fatherland was in full flight. Earlier in the last decade, Seat had stumbled helplessly onto the comedy stage, by introducing three new models – Altea, Toledo and Leon – which were all-but-identical, inside and out, apart from some impertinent body panels that gave them a hatchback, a bustle-back and a sporty-back respectively. They were introduced in the wrong order and there were so few differentiation elements that the consumer was as confused as hell. Seat needed to go back to the drawing-board and sharpish. Its marketing message was wrong. It was concentrating on rallying and racing, as methods to slam-dunk product in front of potential customers…except that nobody was bothered. Allying Seat with Audi within the Group was also a gross error of judgement and the Group’s other value brand, Skoda, was moseying along quite happily, building share and reputation, to make Seat look like an also-ran. However, facing faltering sales in its Spanish domestic market, as well as across Europe meant that some intense restructuring was necessary. Seat had a fight to survive on its hands. It needed to rebuild faith, which is never an easy thing to achieve in the new car scene, which builds its houses of cards so tenuously at times. A lot happened though and most of it within just the past couple of years. Yet, rather than disappear, perhaps even being sold off to Fiat Group, Seat is now in its strongest position, breaking ever-increasing sales records in several countries, not least the UK….and there is good reason. The latest Leon range is an utter stormer. I love the five-door…I adore the SC three-door…and the latest ST estate car is charming, without ever being on a charm offensive. 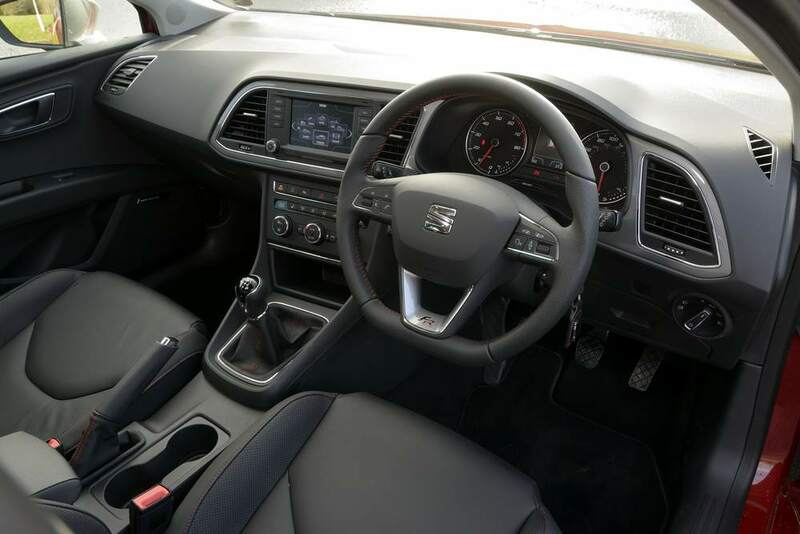 Firstly, it is affordable, with the range starting at £16,675, for a 1.2TSi model, rising to £24,630, with an all-the-bells-and-whistles 2.0TDi diesel model, complete with sequential-manual (DSG) gearbox, climate, cruise and every imaginable ‘control’, without blank switches visible. As it happens, the market has been moving inexorably towards two-pedal manual transmissions and, as the much vaunted DSG unit happens to be a favourite of mine, I elected to sample the 1.2-litre version first. I was not disappointed. If anything, the ST, with its extra lump of metal tacked onto the rear to create an estate car, cleaves through the air more cleanly than its lesser cost variants. It certainly felt more stable and the Leon ST’s dynamic envelope is best described as moderately compliant, with a sporting edge (on 16-inch alloys) and a build quality to die for (nary a squeak, or rattle, in evidence, despite the abysmal state of our roads). The 1.2-litre turbocharged petrol unit pulls like a steam-train from idle to maximum revs, the gears meshing crisply but inadvertently both up and down the seven-speed ’box. Thanks to the efficiency of the gearbox, the relatively low power output of 105bhp is hardly noticeable. Driver comfort is on a pinnacle, the (optionally) heated, cloth-wrapped seat providing supportive carriage on the twists and turns of The Cotswolds’ back-doubles (the location of our test). However, a check into its on-board computer reveals a fuel return of a meagre and unexpected 52.8mpg and this after a spirited drive from Broadway to Chipping Norton and up to Stratford and back, traffic hold-ups notwithstanding. Swapping seats into the 1.6-litre turbo-diesel version (same power, greater torque figure, even better fuel economy), it is beneficial to note that this is a zero-VED model, as a result of its Grade A, 99g/km CO2 exhaust emissions rating. The petrol variant is still a lowly 115g/km but is hiked into taxation Grade C as a result. The diesel’s main advantage lies in its effortless pull in the middle of the rev-range, which is marginally stronger than the petrol, although its top speed is identical and, in six-speed manual gearbox form, it is a delight to shift effortlessly and speedily between ratios. Returning 63.7mpg on the same road loop as the petrol proved the diesel’s point, even though its purchase price is some £450 more at £19,495 (remember, it also features a manual gearbox, as opposed to the greater cost DSG unit). My only real niggle lies in the steep pricing of the 1.2-litre model in identical SE trim. 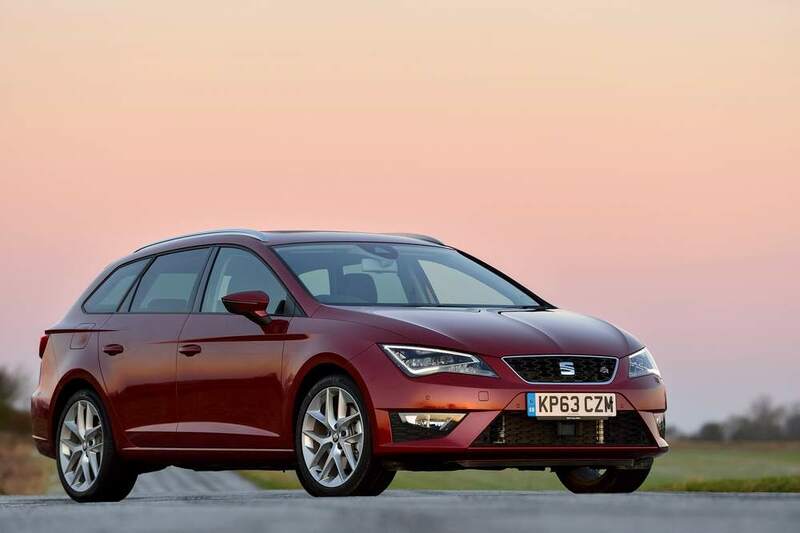 Compare the Leon with its nearest rivals from Kia (cee’d), Ford (Focus), Vauxhall (Astra) and Renault (Megane), the Seat beats them all on price and available options (so that you can pay more but that you might also have more fun getting there). 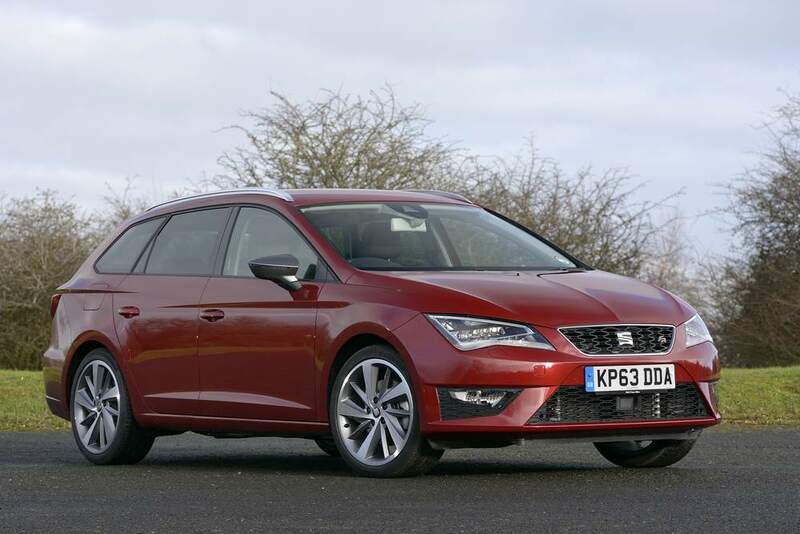 The Seat is also lighter than any of them, producing both lower emissions figures and a lower power output, which is not so bad, as the top speeds and acceleration times are all very comparable. Conclusion: Having found its ‘feet’, Seat now has to shake its new-found ‘booty’ about to generate the extra business that will assure its future. With the Leon range, it can achieve so much and the company is managing to do it with remarkable ease, thanks to a clean, stylish design ethos and a quality edge that makes many of its rivals bilious with envy.